So far I have written one play and one novel. 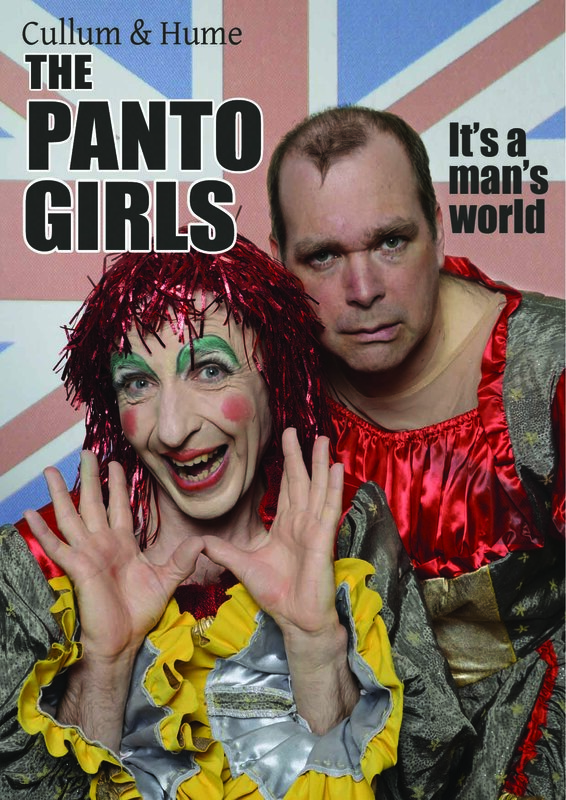 The play, The Panto Girls, toured in the UK and played at Canada's Edmonton Fringe Festival. 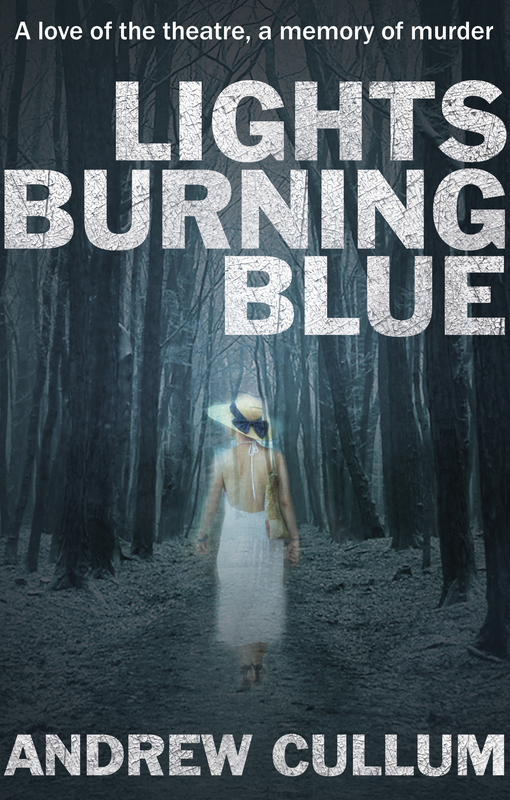 My debut novel, Lights Burning Blue is available in paperback from Amazon, or if you'd like a personal, signed copy, use the Paypal button, and I'll send you a copy from my own stock. So do I have any future writing plans? - Yes. But I don't yet know what! Watch this space. 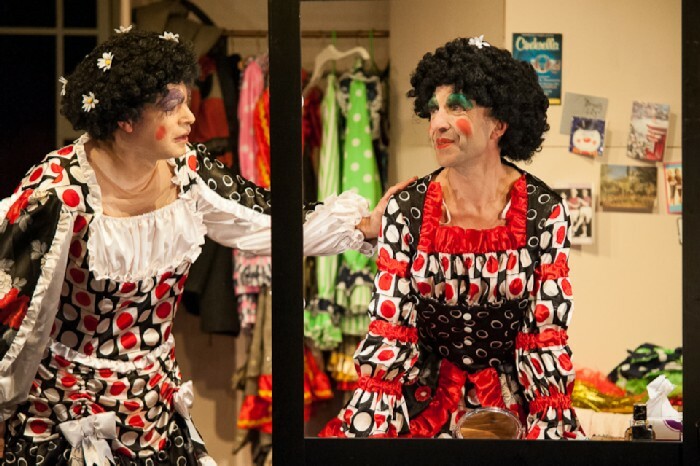 ience into the dressing room of two veteran actors, brilliantly played by Andrew Cullum and Oliver Hume, as nightly they apply their makeup and costumes to become 'The Ugly Sisters' in a Christmas run of Cinderella. They play sisters, but as they learn backstage after cavorting infront of the audience in garish makeup and outlandish dresses, they have more in common than either could have imagined. Poignant and funny, the script is tight and intriguing and these skilled actors make these complicated performances look effortless. If you consider the prawn crisp and Twiglet top contenders for England's strangest export, just stick around for panto season. The venerable all-ages Christmas tradition - which shamelessly pilfers a fairy tale and decorates liberally with double entendres, hairy chested cross dressing, giddy songs, mouldy jokes and audience interaction - is the setting for this funny, bittersweet little greasepaint comedy about the life of an actor on the English provincial circuit. And it positively exudes authenticity. In the play, brought to us by Andrew Cullum who co-stars with Oliver Hume, we're backstage for a performance of Cinderella. The Ugly Sisters are doing their makeup, putting on their girl underwear, trading offhand bits of gossip about gigs, lodgings, stage management and all the actor ritual. They are a study in contrast. 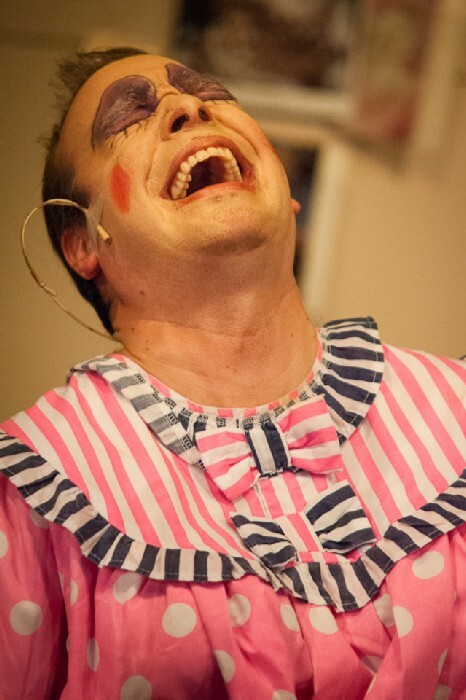 The one (Cullum) is a perky, bustling cheerful sort who gets to the theatre early because he's so pumped. Everything about this actorly positivity gets on the nerves of his younger castmate, who hates kids, nearly knocked over the set at the matinee, and hopes to get laid after the show. They can't stand each other on sight. They know some of the same people in the theatre world, but they're finding out about each other. As Marcus Fernando's production figures out, this gets periodically interupted for their amusing cavorts in Cinderella, which we get to see: these guys are pros. Then we're backstage again, where a story of hopefulness, late hours, and loneliness on tour gradually emerges. Its Pantomime Season at a theatre near you. Backstage in a dressing room are two very different actors preparing to go onstage as Ugly Sisters in a production of Cinderella. One enjoys the glamour of the theatre and wearing dresses and make up; the other prefers a few pints after a game of footie with the lads. How will they stand sharing a dressing room for four weeks? How will their offstage lives show in their onstage performances? 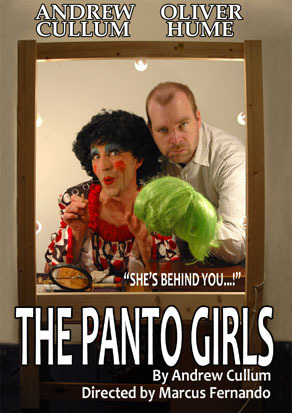 "The Panto Girls" is a comedy about the theatre and two men who spend their working lives in the acting profession. There are also some darker moments and one or two surprises along the way. 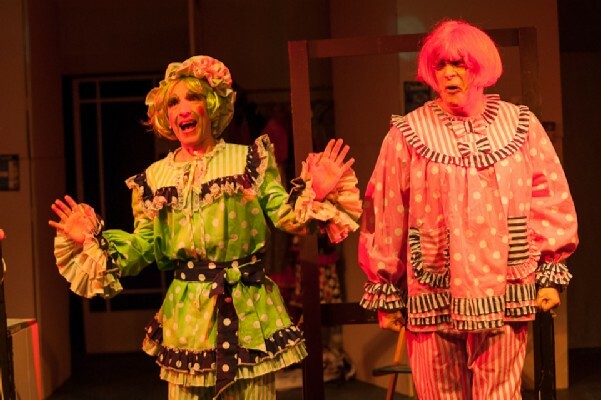 How "The Panto Girls" came to be written: For the 2009 pantomime season I managed to get a job playing one of Cinderella’s Ugly Sisters in Solihull. Playing opposite me was Oliver Hume. We worked well together, and in quieter moments in the dressing room during performances we began to discuss how we could work together again. One idea was to try and get more Ugly Sister work in other productions of Cinderella. At some point we said something along the lines of: “Actually this would make an interesting play in itself; two actors backstage, waiting to go on as Ugly Sisters”. I was very taken with the idea. 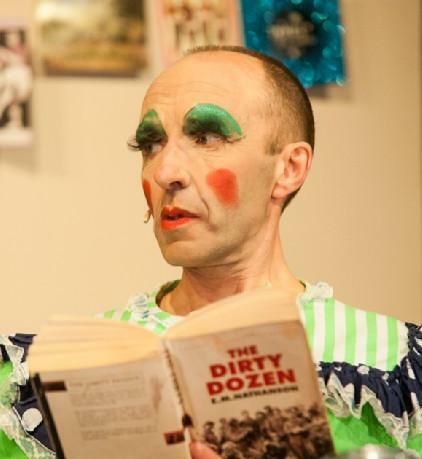 Apart from a few short stories I’d written as a boy, and a short script some twelve years ago which I wrote for my own amusement, I had never written anything before; so it was both surprising and exciting to find myself after a few days at the end of the first act of “The Panto Girls”. This was in February 2010. I was scheduled to start rehearsing for Malcolm Stent’s “Go And Play Up Your Own End” in March. I needed to finish writing the first draft quickly while the ideas were still flowing. 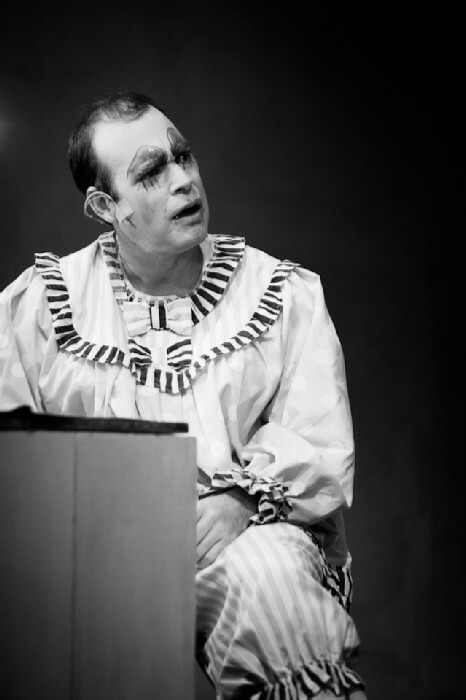 I’m sometimes asked if the play is autobiographical: No it isn’t. The characters, George and Roland are derived from Oliver and myself, but to make an interesting play I had to change and exaggerate certain personality traits. I am naturally quite optimistic and especially when in the theatre, which is where I feel most alive, I can be quite exuberant, but not so much so as George. Oliver is more down to earth, but is nothing like as disorganized and bloke-ish as Roland. I suppose inevitably George is more like me than Roland is like Oliver, but as they say at the end of some films….this is a work of fiction! 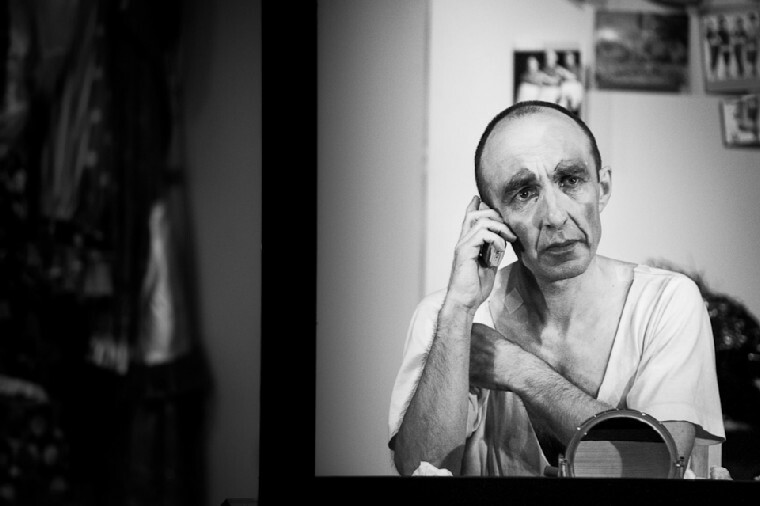 Production stills by Peter Weston. Poster design and photograph by Marcus Fernando.